The Thursday BIG BROTHER was again down from last year. 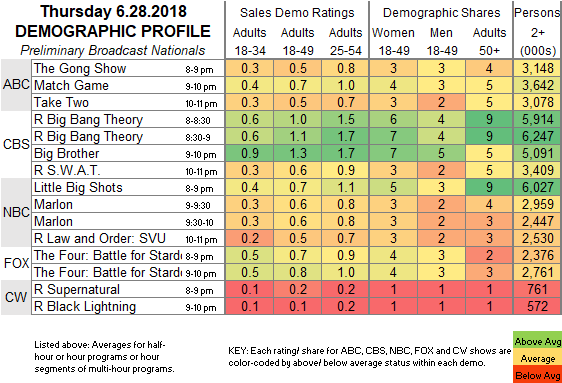 CBS: BIG BROTHER’s first Thursday installment was at 1.3, down 0.3 from 2017. 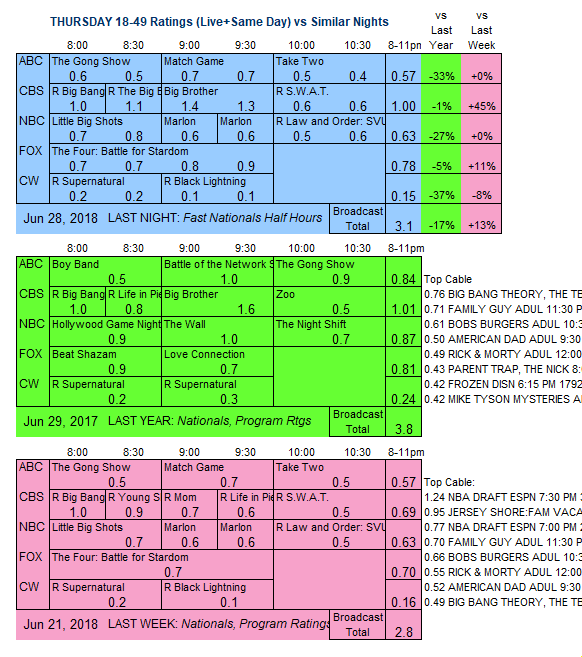 It was sandwiched between reruns at 1.0/1.1 and 0.6. ABC: THE GONG SHOW (0.5), MATCH GAME (0.7) and TAKE TWO (0.5) were all steady. NBC: LITTLE BIG SHOTS (0.7) and both episodes of MARLON (0.6/0.6) held last week’s numbers. A rerun of SVU followed at 0.5. FOX: THE FOUR gained 0.1 to 0.8. MASTERS OF ILLUSION has its season premiere on CW tonight.